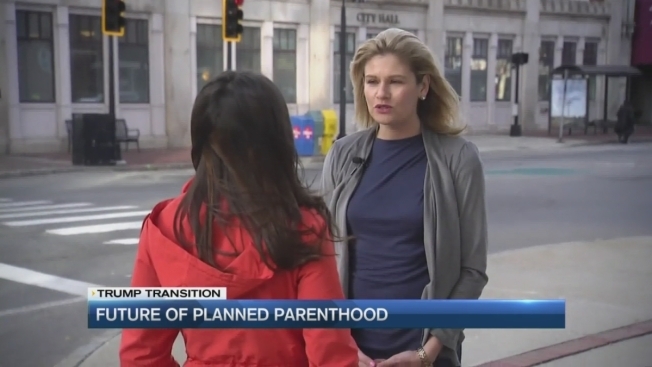 Future of Planned Parenthood in New England? Throughout his campaign, Donald Trump has vowed to defund Planned Parenthood and overturn Roe v. Wade. Now that a Trump presidency is a reality, Planned Parenthood supporters in Manchester, New Hampshire are speaking out. Victoria Bonney watched Tuesday night as the nation elected Donald Trump as the next president. Bonney is an advocate for Planned Parenthood, a health center that offers women access to abortions and also affordable health care. Reckless is the word Bonney and other supporters use to describe some of Trump’s comments during his campaign. President-Elect Trump has promised to take away abortion rights by nominating Supreme Court Justices who will overturn Roe v. Wade. Bonney said the attacks on Planned Parenthood started with Trump’s Vice President Mike Pence, who shut down a dozen health centers as governor of Indiana. But many people who voted for Trump say his stance on abortion was a high priority issue. Diane Roblee and students from a local catholic school often protest outside the Manchester Planned Parenthood. As for Planned Parenthood – Bonney says despite threats from the president-elect, the organization is making a promise to patients.